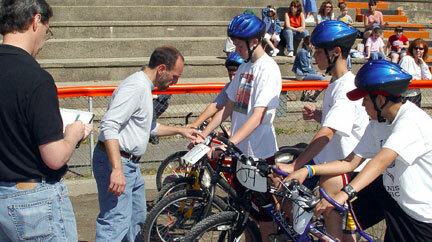 ... and it appeared that these sixth through ninth graders could have completed another 9,610 miles. 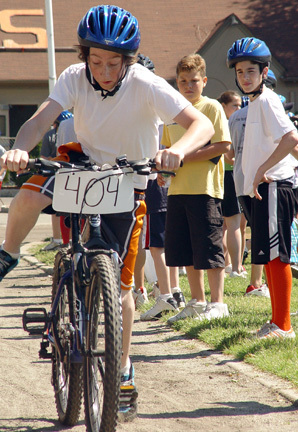 The 11th Annual 24-hour Memorial Weekend Bicycle Marathon was held at Gary Depken Field. It started on Friday, May 27 at 10:00 a.m. and concluded on Saturday, May 28 at 10:00 a.m.
About 200 boys and girls participated in 40 teams. 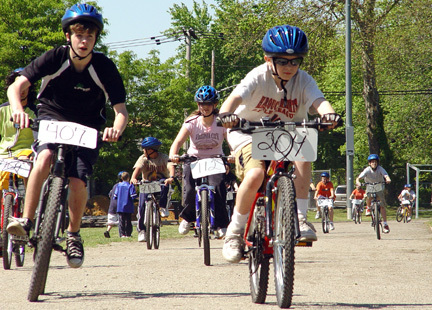 Each team consisted of a minimum of four participants with an optional fifth person as a coach/mechanic. Prior to the event, Coach Nick Delcalzo briefed participants about the rules, procedures and code of conduct. 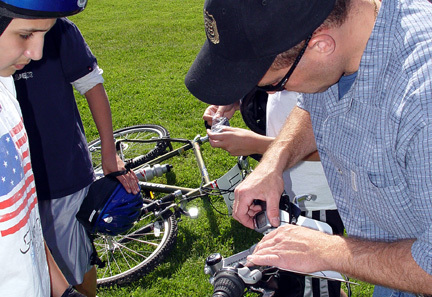 Each team bicycle had an odometer installed and calibrated. Periodical mileage checks were made throughout the event. 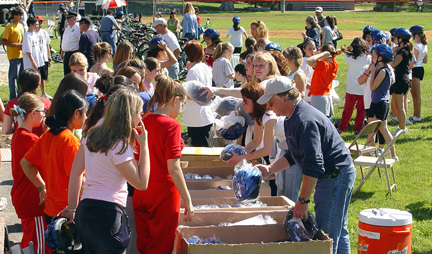 Every rider received a bicycle helmet and was required to wear a helmet while on the bicycle. The Marathon started with the D.A.R.E. vehicle and Bill Kundert in a brand new Volvo leading the first lap. 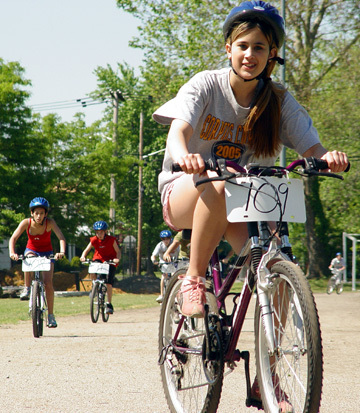 A cyclist from each team then took turns riding the designated bicycle around the track. A special lane was designated for riders to switch. 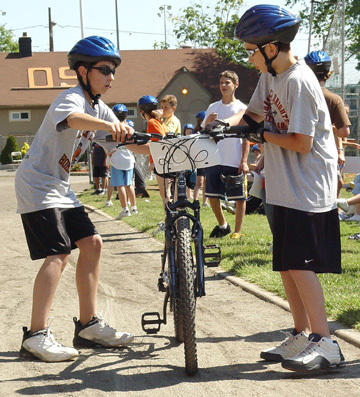 Each team was responsible for keeping its bicycle moving at all times. Mechanics with tools were available to handle minor repairs. Participants were required to stay on the field at all times. A secured "tent city" was set up on the practice field where each team set up their own tent with sleeping bags, extra clothing and food. Water and sports drinks were provided. Parents and friends were in the bleachers supporting their favorite team during the entire event. Hasbrouck Heights Fire Department and EMS members were on the scene for the 24-hour event and reported only a few minor scrapes and cuts. 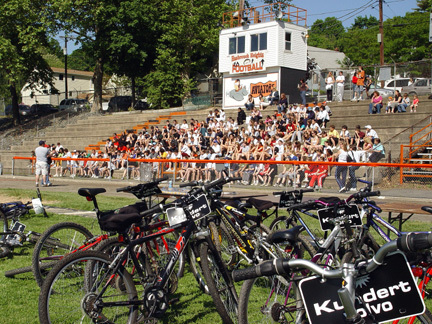 Upon the conclusion of the race, all bicycles were stopped and a mileage count was taken. While tabulations were computed, a final championship lap was taken around the track amid thunderous applause by supporters. Every participant who completed the race received a medal. Various 1st, 2nd and 3rd place trophies were awarded to the winning teams by age group. Overall winners received mountain bikes donated by Bill Kundert, and presented during the Lions Club July 4th Fireworks Program. Overall breifing on rules, conduct, etc. 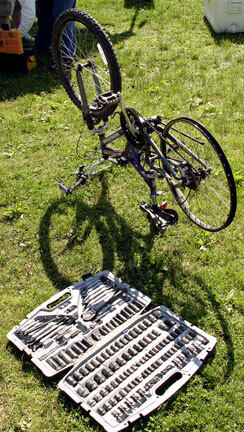 And sometimes the bicycles breakdown.